Birmingham, UK- More than 160 mosques can be found in the British city of Birmingham, each offering its own style of worship for the local community. While tradition remains at the heart of them all, discreetly installed audio-visual technology is increasingly being employed to bolster the worship experience. Newly opened near to the city's Jewellry Quarter, Mosque Al-Saifee, locally knowns as Hingeston Mosque, is perhaps one of the best examples, with a networked video system based on Visionary Solutions technology. The result of a long-term development and construction project, Hingeston Mosque opened its doors in September 2017 with a series of events to welcome the local community. Among those marking the occasion was Peter Rutherford, of South Yorkshire-based systems integration specialist Direct Audio Visual. 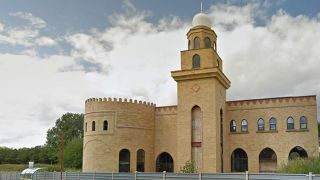 As the man responsible for the mosque's entire AV solution, he holds the unique position of having created a video system of such flexibility that other houses of worship around the UK are already taking note. What's more, with the assistance of Visionary Solutions, he and his team completed the job in record time. "We came late to the project — the building was already mostly finished," he confirms. "The mosque had a requirement for networkable video — they wanted to be able to move display screens around to suit different events." The screens are used to show a broad variety of content, from the mosque's own services, captured by two HD cameras, to incoming satellite TV channels and, most importantly, "a feed from their main mosque in India. But we needed something that was capable of using the existing Cat-5 cabling, which had been installed two years previously, while also providing a lot of flexibility in use." Rutherford admits that in the past he would have turned to "something like HDBaseT, but there was part of the site that we needed to reach, and it was only accessible via fiber and a network switch, so we need a network routable technology. I had seen the Visionary Solutions PacketAV technology at the ISE show in Amsterdam, and I was very impressed with it. So although this was quite a challenging project with a short timescale, we decided to jump in with Visionary Solutions." Working with Visionary Solutions UK distributor CUK, with whom Rutherford enjoys a strong relationship, Direct Audio Visual set about creating a truly innovative solution for the mosque's requirements. "We are using three PacketAV E4000 encoders and, at the moment, eight D4000 decoders, though not all of them are currently deployed. There are four screens in permanent use, plus another four that can be deployed as necessary anywhere throughout the site. They can be patched in to whichever floor box or wall outlet is easiest, and within moments the screen is up and running. The mosque can quickly and easily transmit to any Cat-5 point throughout the site." With the mosque now open, Rutherford recalls how the speed of the installation meant that the Visionary Solutions system had to make its debut without any prior testing. "The time frame was challenging," he laughs. "There was nothing we could do about it, but I received excellent support from Visionary Solutions' Jordan Christoff and Scott Freshman, who joined a conference call from the US and ensured that our Netgear switch was properly configured. Within 20 minutes the system worked perfectly. We covered the whole site with video at remarkably short notice, into all of the locations that were required." Now the mosque's own team is running the system on a day to day basis. "This is one of their biggest festival seasons and they're using the system on their own. It's no problem because the Visionary Solutions technology is so simple, it's literally drag your source and drop." With the completion of the Hingeston Mosque project, Direct Audio Visual has already received a number of calls asking if a similar solution can be implemented elsewhere. "We'll be using Visionary Solutions again," says Rutherford. "They make deploying video wonderfully simple."